|| Photo by Thought Catalog on Unsplash. Heavily-anticipated Lyft (LYFT) initial public offering (IPO) seemingly captures the zeitgeist of millennial investors by inciting FOMO, or the fear of missing out - without the financials to back it up. The media flurry sparked by Lyft’s declaration to go public seems fueled by a frenzied fear of missing out on the hyped stock - and investors clamored to hail a ride. According to reports, Lyft was already oversubscribed during their first week of pitching the stock - and was about 20 times oversubscribed by the time the stock debuted on the Nasdaq. In other words, the company has already overflowed the 33 million shares of stock it will be issuing, which started trading at around $87 per share last Friday (rising far above their anticipated debut in the $70s). Putting it in the millennial vernacular, Lyft stock seems to be going viral. And after soaring some 16% in only the first couple hours of trading, Lyft was nothing if not a hot stock. But one look at the company’s financials, detailed in their March 1 S-1 filing through the Securities and Exchange Commission (SEC), may indicate the bet is all too risky. “I’m hearing that investors don’t like the financials but they know this is a hot deal,” Rett Wallace of Triton Research, tracking tech IPOs, told the New York Post last week. And despite investor hype, Lyft’s financials are nothing to get excited about. While the company did generate some $2.2 billion in revenues for 2018, their net losses for last year totalled a whopping $911 million. And Lyft’s growth is half what it was in the past 2 years - dropping from year-over-year growth of 209% from 2016 to 2017 to 103% last year. And to make matters worse, the ride-sharing company is already burning cash (some $350 million last year alone) - having yet to achieve profitability. But for an increasing number of investors, the numbers don’t seem to be as consequential. The rush to get in on Lyft seems driven by both investor resilience and the all-too-familiar acronym to millennials - FOMO. 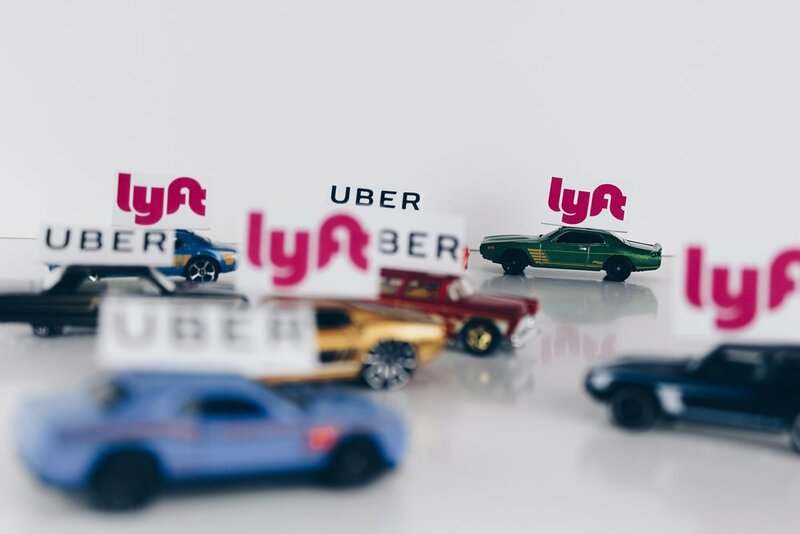 In fact, according to Dion Rabouin, Axios markets editor, the fear of missing out on the Lyft IPO may be making investors overlook its major issues. But for some investors, this story might seem familiar. In fact, some analysts argue that the Lyft IPO bears an eerie resemblance to Snapchat’s (SNAP) IPO in 2017. Snapchat - a social media platform seemingly treading water amid giants like Facebook’s (FB) Instagram - was certainly a hot stock on the market when it debuted at a little over $24. Just over a year later, Snapchat’s stock is trading at less than half its initial price. And, just like Lyft, the social media company was also reportedly oversubscribed at the time of its IPO. For many savvy investors, the similarities (along with concerning financials) are enough to induce anxiety over the ride-sharing company’s forthcoming stock. And many investors are already catching on. Still, Lyft may have a strong future ahead of them if they are able to execute a plan for profitability and stave off the advances of heavy-weight competitors like Uber - and may pay off big for patient investors. But the largely questionable hype over the IPO should raise red flags for millennial or Generation Z investors - and, more importantly, questions. Is Lyft worth a long ride, or is it merely the FOMO influencing young investors to jump in? For many investors, it seems the answer seems largely to be the latter. In fact, investors are already dumping stock - fast. On only its second day of trading, Lyft plunged some 11%. While Lyft’s potential may spur some investors on to investing (the company is planning to get into autonomous vehicles, which could dramatically reduce their costs, as well as electric scooters through their recent acquisition of bike-share company Motivate), its current state is far too risky for investors to bet on. And according to market activity so far, it seems like investors are asking to get dropped off early.